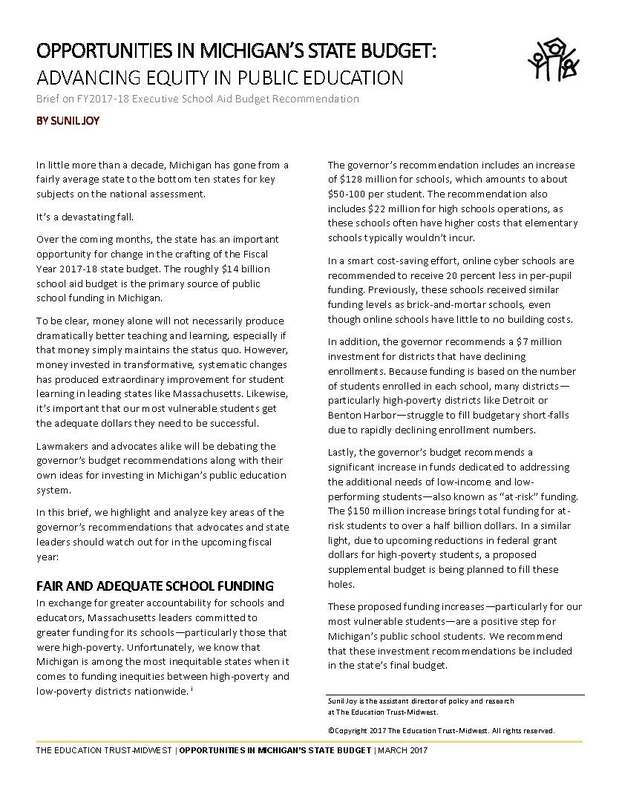 Michigan children deserve a world class education and the opportunity to succeed. Their future, and the future of our state depend on it. Today, we are letting our children down and robbing them of the chance to learn, develop their interests and skills, and realize their dreams. Over the last decade, Michigan students have fallen behind their peers in other parts of the county. It’s not right, and it must change. And most importantly, it can. 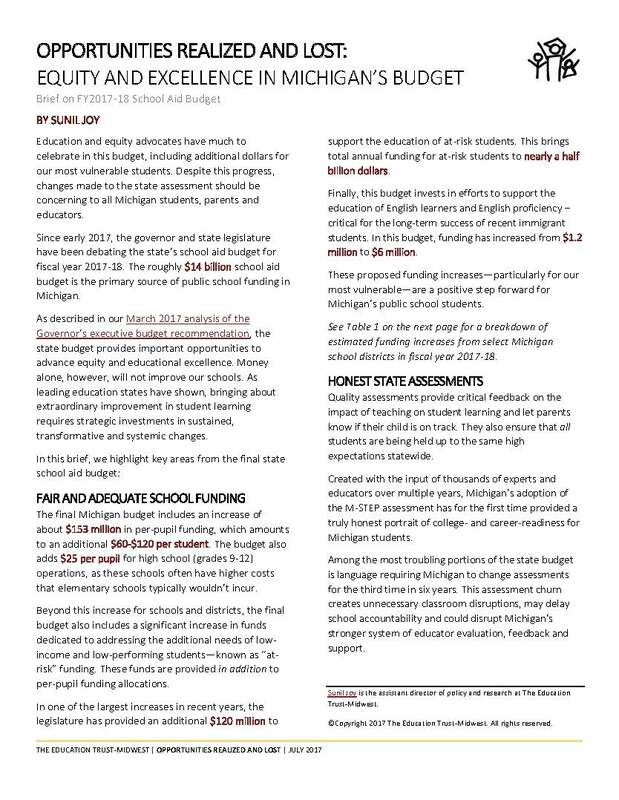 Each year, The Education Trust-Midwest publishes an annual State of Michigan Education report. 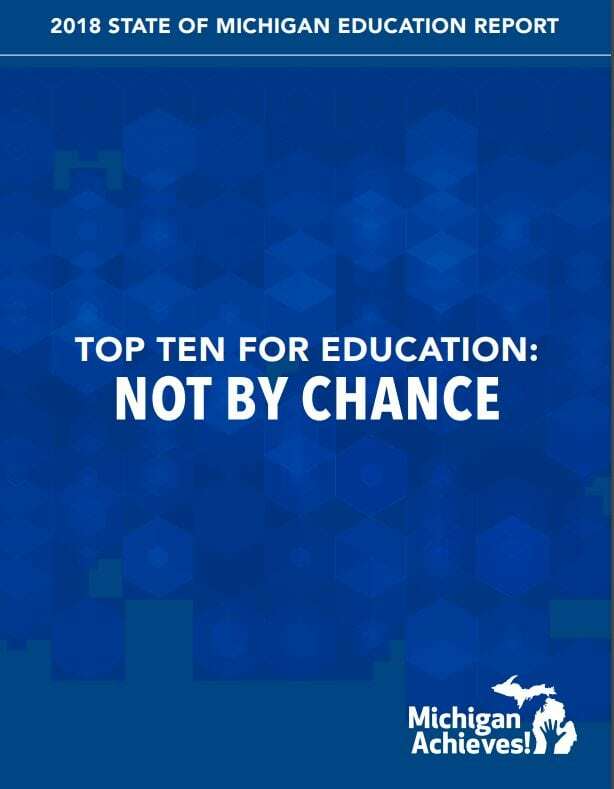 This detailed analysis provides important data on student achievement in Michigan, across the country and highlights many of the ways that we can transform Michigan into the education leader that our children deserve and our future depends on. 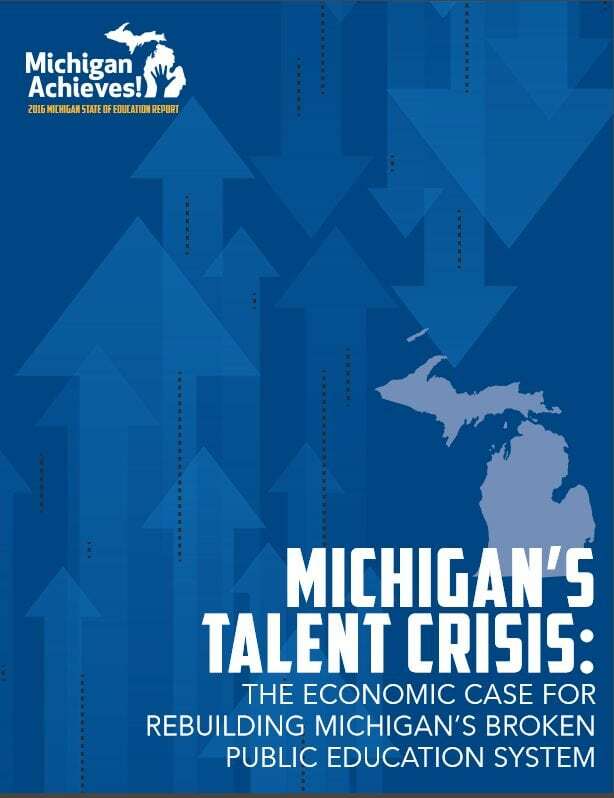 Additionally, we periodically publish in-depth reports and white papers on issues most central to Michigan’s educational recovery.